Has a friend or relative told you that they’ve got a toxic black mold problem in their duct work or air conditioner, and you’re wondering if your home could also be at risk? You’ve probably heard horror stories and are in the process of discovering how to prevent mold issues in your home HVAC system, before calling your local contractor to do a thorough checkup on your heating and air system. Many home’s in Charlotte have a mold problem in the HVAC system and the occupants aren’t even aware of it. You can easily spot clues that a mold problem may be evident if you know where to look. Does anyone in your home or office have allergies, skin lesions, or other respiratory problems? According to Livestrong.com, they may be caused by black mold in the HVAC system, or at least made worse by them. Is there a musty odor in your home but you can’t locate the cause? Mold could easily be the cause. If you suspect you may have a mold problem in your heating and cooling system or the ductwork, call your HVAC professional and ask them to inspect and treat any issues. 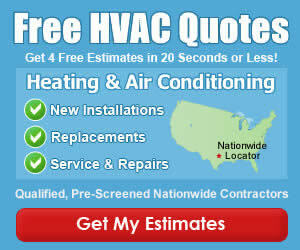 Having your duct work and HVAC system cleaned will help eliminate existing problems. Taking these proactive maintenance steps will prevent mold issues in your home HVAC system in the future. Your home will be a healthier environment for everyone. Mold-prevention experts tell us that reducing water/humidity/moisture is the key to preventing mold. The cleanup costs for black mold or any toxic mold are invasive, time-consuming and expensive. Preventing the problem in the first place is much easier and affordable. These steps will help prevent the moisture problems in your HVAC system that can lead to mold problems. When the air conditioner is running, large amounts of water are condensing on the indoor coil located in the furnace or air handler. It functions something like a dehumidifier except that the hot air is carried outside by the refrigerant. Condensed water collects in a drain pain and is removed through a drain line that empties into a drain in the floor. 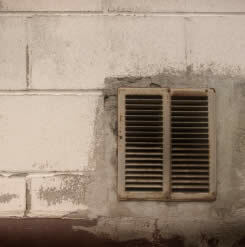 If the drain pan, drain line or floor drain become blocked, water will collect and become a breeding ground for mold. Check these items monthly to make sure that water is draining as it should. The indoor coil collects dust that sticks to it when its wet. That dust holds moisture and also creates a good host for mold. An HVAC professional will thoroughly clean the coil and the entire furnace/air handler, eliminating the opportunity for mold to grow as well as increasing the performance of the system. When the duct work was installed, the seams and connections were sealed and/or taped. With time, that tape or sealant will fail, causing leaks in the duct work where moisture and dust can enter. This may be a job you can do yourself, if you are comfortable with DIY projects. Be sure to use professional-quality duct tape which is usually made with heavy-duty foil. Use sealant designed specifically for ducts too, so that it will have the ability to flex, expand and contract while maintaining the seal.